Alice Matimba received her PhD in human genetics in 2009 from the University of Cape Town. During her studies that focused on pharmacogenomics of African populations she was affiliated with the African Institute of Biomedical Science and Technology and the University of Antwerp. She did her postdoctoral training at the Mayo Clinic, Minnesota, USA, on functional pharmacogenomics of cancer therapeutics. 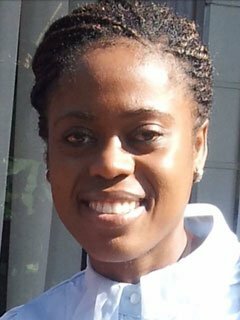 She is now a senior lecturer in pharmacology and research scientist in the College of Health Sciences, University of Zimbabwe, where she is teaching and establishing research platforms for human genomics, pharmacogenomics, bio-banking and ethics as well as non-communicable diseases such as diabetes and cancer. Her long term scientific goals include application of inter-relational analyses encompassing genomics, environment and lifestyle and their role in causing individual variation in disease susceptibility and response to treatment, using genomics, technology and public health tools, to create integrated, local solutions for personalized preventive and therapeutic interventions. She is also interested in science advocacy and community engagement programs and was recently elected into the Global Young Academy and is a current participant of the inaugural African Science Leadership Programme (2014-2015).